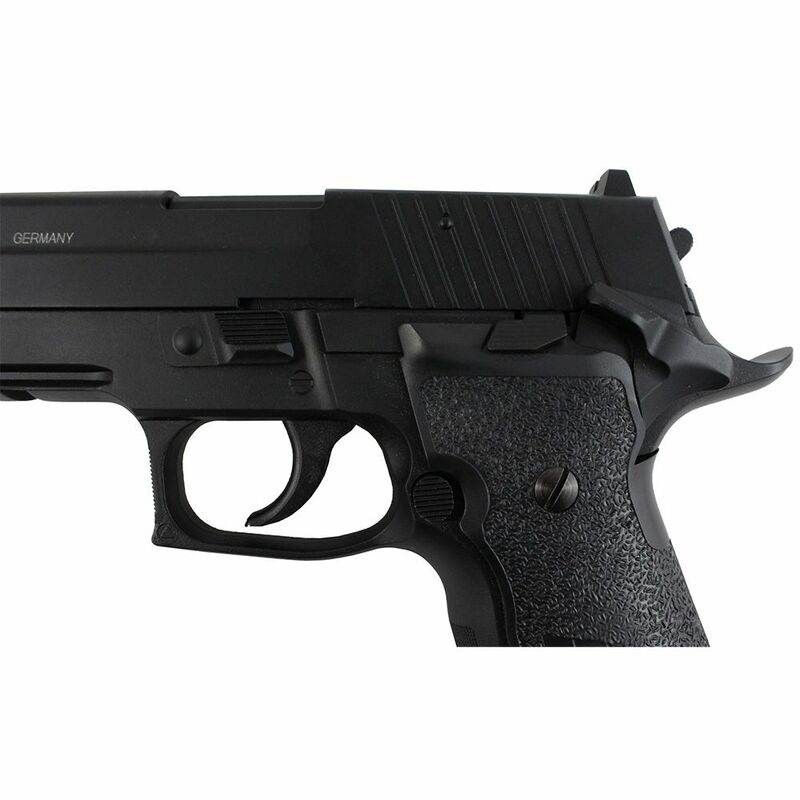 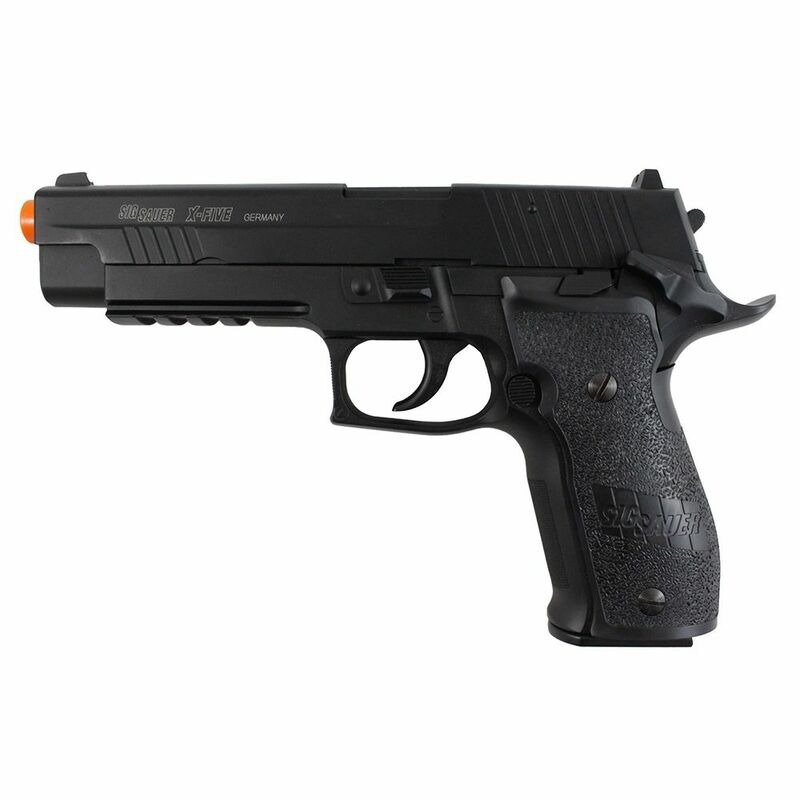 The Sig Sauer P226 X-Five features a single-action trigger, ergonomic beavertail grip, and ambidextrous thumb safety. 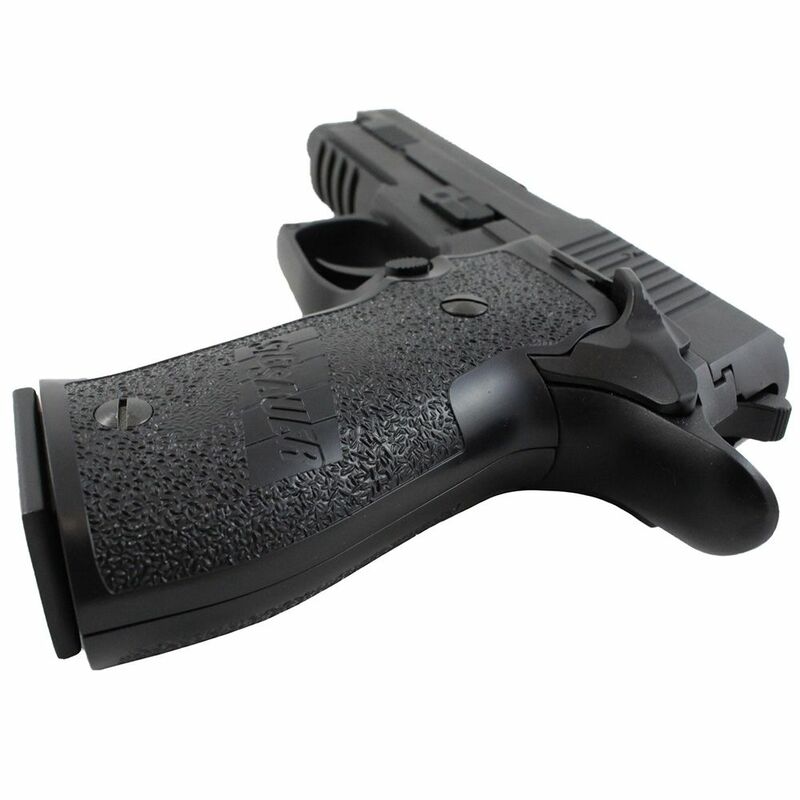 Built on the renowned P226 platform, the X-Five is a force to be reckoned with. 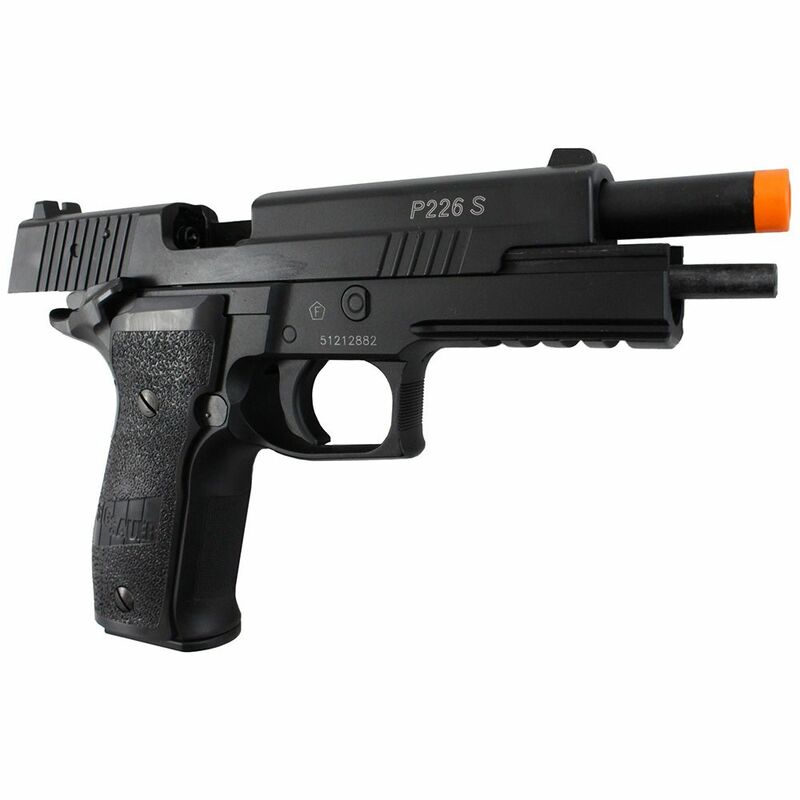 Powered by CO2, this pistol has a 366 FPS muzzle velocity and a realistic blowback system. 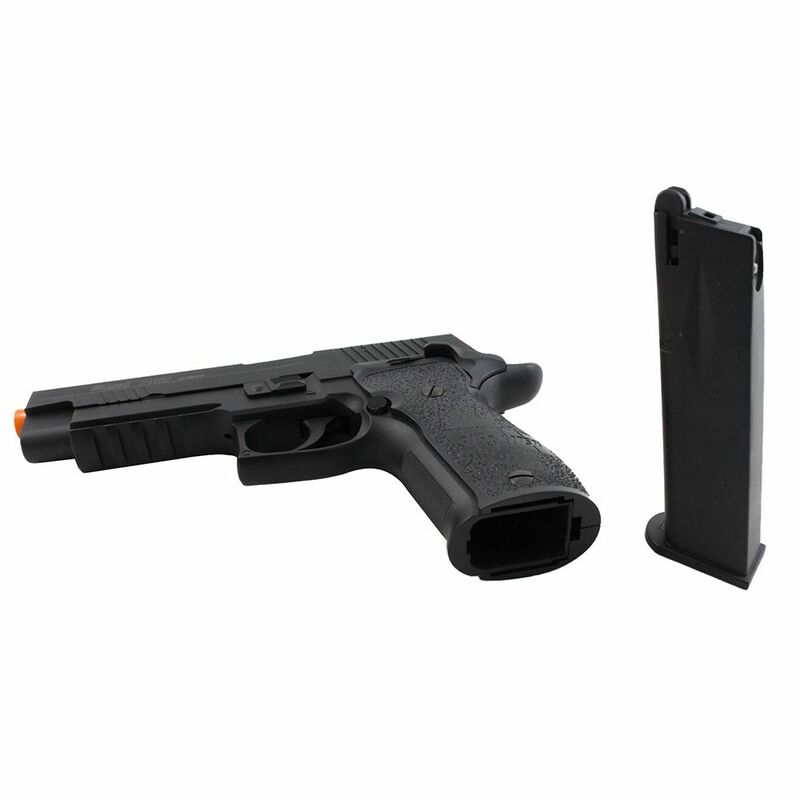 Each shot of the 24 round magazine can be felt with strong kick back. 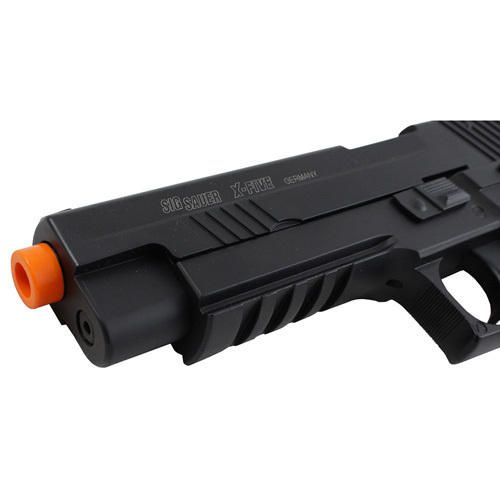 The tactical lower rail allows for a variety of accessory attachments like lights and laser sights. With a full metal construction, it looks and feels just like the real thing.